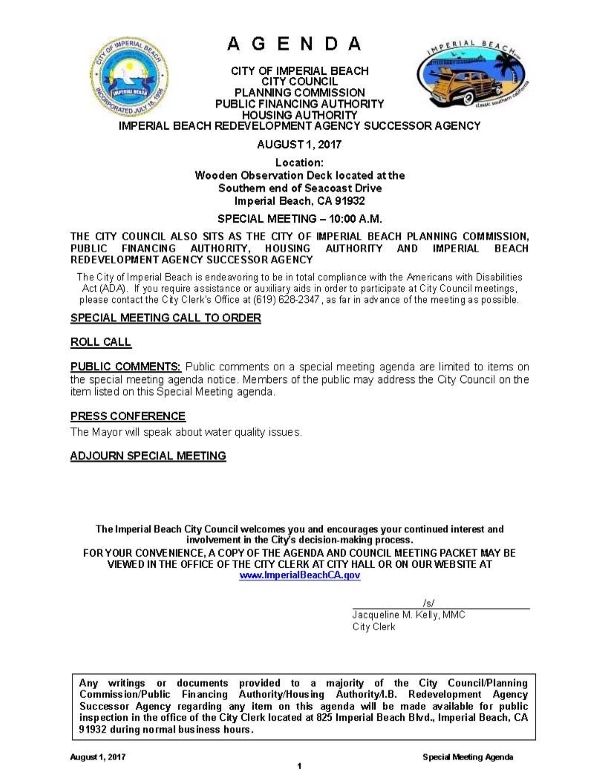 On Tuesday August 1st, the Imperial Beach Special City Council Meeting! Here is the Agenda for the Special Time and Place Where the Meeting Will Take Place! Meeting Will Take Place on Wooden Observation Deck on Southern End of Seacoast Drive at 10am.